"For decades, patients behind the Iron Curtain were denied access to some of the best antibiotics developed in the West. To make do, the Soviet Union invested heavily in the use of bacteriophages — viruses that kill bacteria — to treat infections. 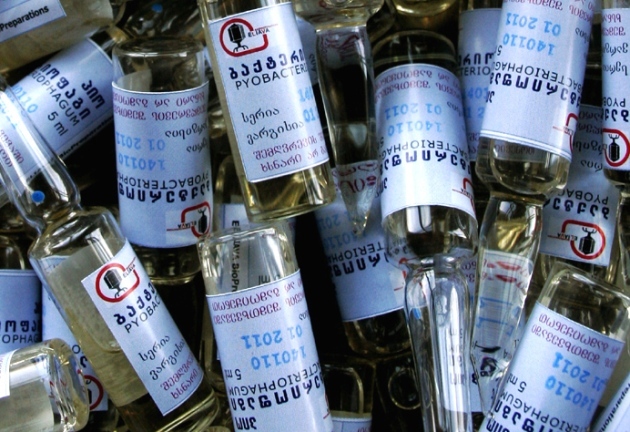 Phage therapy is still widely used in Russia, Georgia and Poland, but never took off elsewhere. “This is a virus, and people are afraid of viruses,” says Mzia Kutateladze, who is the head of the scientific council at the Eliava Institute in Tbilisi, which has been studying phages and using them to treat patients for nearly a century. Now, faced with the looming spectre of antibiotic resistance, Western researchers and governments are giving phages a serious look. In March, the US National Institute of Allergy and Infectious Diseases listed phage therapy as one of seven prongs in its plan to combat antibiotic resistance. And at the American Society for Microbiology (ASM) meeting in Boston last month, Grégory Resch of the University of Lausanne in Switzerland presented plans for Phagoburn: the first large, multi-centre clinical trial of phage therapy for human infections, funded by the European Commission."